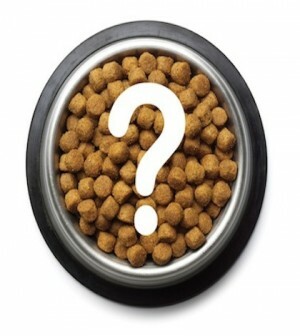 Home > Pet Health > What’s really in Pet Food? What’s really in Pet Food? This report explores the differences between what consumers think they are buying and what they are actually getting. It focuses in very general terms on the most visible name brands — the pet food labels that are mass distributed to supermarkets and discount stores — but there are many highly respected brands that may be guilty of the same offenses. Three of the five major pet food companies in the United States are subsidiaries of major multinational companies: Nestlé (Alpo, Fancy Feast, Friskies, Mighty Dog, and Ralston Purina products such as Dog Chow, ProPlan, and Purina One), Heinz (9 Lives, Amore, Gravy Train, Kibbles-n-Bits, Nature’s Recipe), Colgate-Palmolive (Hill’s Science Diet Pet Food). Other leading companies include Procter & Gamble (Eukanuba and Iams), Mars (Kal Kan, Mealtime, Pedigree, Sheba, Waltham’s), and Nutro. From a business standpoint, multinational companies owning pet food manufacturing companies are an ideal relationship. The multinationals have increased bulk-purchasing power; those that make human food products have a captive market in which to capitalize on their waste products, and pet food divisions have a more reliable capital base and, in many cases, a convenient source of ingredients. The protein used in pet food comes from a variety of sources. When cattle, swine, chickens, lambs, or other animals are slaughtered, the choice cuts such as lean muscle tissue are trimmed away from the carcass for human consumption. However, about 50% of every food-producing animal does not get used in human foods. Whatever remains of the carcass — bones, blood, intestines, lungs, ligaments, and almost all the other parts not generally consumed by humans — is used in pet food, animal feed, and other products. These “other parts” are known as “by-products,” “meat-and-bone-meal,” or similar names on pet food labels. What can the feeding of such products do to your companion animal? Some veterinarians claim that feeding slaughterhouse wastes to animals increases their risk of getting cancer and other degenerative diseases. The cooking methods used by pet food manufacturers — such as rendering, extruding (a heat-and-pressure system used to “puff” dry foods into nuggets or kibbles), and baking — do not necessarily destroy the hormones used to fatten livestock or increase milk production, or drugs such as antibiotics or the barbiturates used to euthanize animals. Restaurant grease has become a major component of feed grade animal fat over the last fifteen years. This grease, often held in fifty-gallon drums, may be kept outside for weeks, exposed to extreme temperatures with no regard for its future use. “Fat blenders” or rendering companies then pick up this used grease and mix the different types of fat together, stabilize them with powerful antioxidants to retard further spoilage, and then sell the blended products to pet food companies and other end users. Two of the top three ingredients in pet foods, particularly dry foods, are almost always some form of grain products. Pedigree Performance Food for Dogs lists Ground Corn, Chicken By-Product Meal, and Corn Gluten Meal as its top three ingredients. 9 Lives Crunchy Meals for cats lists Ground Yellow Corn, Corn Gluten Meal, and Poultry By-Product Meal as its first three ingredients. Since cats are true carnivores — they must eat meat to fulfill certain physiological needs — one may wonder why we are feeding a corn-based product to them. The answer is that corn is a much cheaper “energy source” than meat. All commercial pet foods must be preserved so they stay fresh and appealing to our animal companions. Canning is a preserving process itself; so canned foods contain fewer preservatives than dry foods. The suppliers add some preservatives to ingredients or raw materials, and the manufacturer may add others. Because manufacturers need to ensure that dry foods have a long shelf life to remain edible after shipping and prolonged storage, fats used in pet foods are preserved with either synthetic or “natural” preservatives. Synthetic preservatives include butylated hydroxyanisole (BHA) and butylated hydroxytoluene (BHT), propyl gallate, propylene glycol (also used as a less-toxic version of automotive antifreeze), and ethoxyquin. For these antioxidants, there is little information documenting their toxicity, safety, interactions, or chronic use in pet foods that may be eaten every day for the life of the animal. Potentially cancer-causing agents such as BHA, BHT, and ethoxyquin are permitted at relatively low levels. The use of these chemicals in pet foods has not been thoroughly studied, and long-term build-up of these agents may ultimately be harmful. Due to questionable data in the original study on its safety, ethoxyquin’s manufacturer, Monsanto, was required to perform a new, more rigorous study. This was completed in 1996. Even though Monsanto found no significant toxicity associated with its own product, in July 1997, the FDA’s Center for Veterinary Medicine requested that manufacturers voluntarily reduce the maximum level for ethoxyquin by half, to 75 parts per million. While some pet food critics and veterinarians believe that ethoxyquin is a major cause of disease, skin problems, and infertility in dogs, others claim it is the safest, strongest, most stable preservative available for pet food. Ethoxyquin is approved for use in human food for preserving spices, such as cayenne and chili powder, at a level of 100 ppm — but it would be very difficult to consume as much chili powder every day as a dog would eat dry food. Ethoxyquin has never been tested for safety in cats. Some manufacturers have responded to consumer concern, and are now using “natural” preservatives such as Vitamin C (ascorbate), Vitamin E (mixed tocopherols), and oils of rosemary, clove, or other spices, to preserve the fats in their products. Other ingredients, however, may be individually preserved. Most fishmeal, and some prepared vitamin-mineral mixtures, contains chemical preservatives. This means that your companion animal may be eating food containing several types of preservatives. Federal law requires preservatives to be disclosed on the label; however, pet food companies only recently started to comply with this law. The “flavor” rule allows a food to be designated as a certain flavor as long as the ingredient(s) are sufficient to “impart a distinctive characteristic” to the food. Thus, a “beef flavor” food may contain a small quantity of digest or other extract of tissues from cattle, without containing any actual beef meat at all. Dr. Randy L. Wysong is a veterinarian and produces his own line of pet foods. A long-time critic of pet food industry practices, he said, “Processing is the wild card in nutritional value that is, by and large, simply ignored. Heating, cooking, rendering, freezing, dehydrating, canning, extruding, pelleting, baking, and so forth, are so commonplace that they are simply thought of as synonymous with food itself.”7 Processing meat and by-products used in pet food can greatly diminish their nutritional value, but cooking increases the digestibility of cereal grains. Mycotoxins — These toxins comes from mold or fungi, such as vomitoxin in the Nature’s Recipe case, and aflatoxin in Doane’s food. Poor farming practices and improper drying and storage of crops can cause mold growth. Ingredients that are most likely to be contaminated with mycotoxins are grains such as wheat and corn, cottonseed meal, peanut meal, and fishmeal. Cereal grains are the primary ingredients in most commercial pet foods. Many people select one pet food and feed it to their dogs and cats for a prolonged period of time. Therefore, companion dogs and cats eat a primarily carbohydrate diet with little variety. Today, the diets of cats and dogs are a far cry from the primarily protein diets with a lot of variety that their ancestors ate. The problems associated with a commercial diet are seen every day at veterinary establishments. Chronic digestive problems, such as chronic vomiting, diarrhea, and inflammatory bowel disease are among the most frequent illnesses treated. These are often the result of an allergy or intolerance to pet food ingredients. The market for “limited antigen” or “novel protein” diets is now a multi-million dollar business. These diets were formulated to address the increasing intolerance to commercial foods that animals have developed. The newest twist is the truly “hypoallergenic” food that has had all its proteins artificially chopped into pieces smaller than can be recognized and reacted to by the immune system. * Write or call pet food companies and the Pet Food Institute and express your concerns about commercial pet foods. Demand that manufacturers improve the quality of ingredients in their products. * Print out a copy of this report for your veterinarian to further his or her knowledge about commercial pet food. * Stop buying commercial pet food. 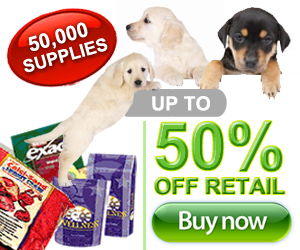 Or if that is not possible, reduce the quantity of commercial pet food and supplement with fresh foods. Purchase one or more of the many books available on pet nutrition and make your own food. Be sure that a veterinarian or a nutritionist has checked the recipes to ensure that they are balanced and complete. * If you would like to learn about how to make healthy food for your companion animal, read up on “Sample Diets,” which contains simple recipes and important nutritional information. * Please be aware that API is not a veterinary hospital, clinic, or service. API does not and will not offer any medical advice. If you have concerns about your companion animal’s health or nutritional requirements, please consult your veterinarian.